Rose saw her mother as a literary apprentice, not as an artist, even though she had always encouraged Wilder’s writing—first the journalism, then the juveniles; they were a less strenuous and more profitable source of income for an elderly woman than chicken farming. But, whatever art may be, the Little House books fulfill its purpose as defined by Horace: “to entertain and to inform.” Mother and daughter essentially divided that labor. 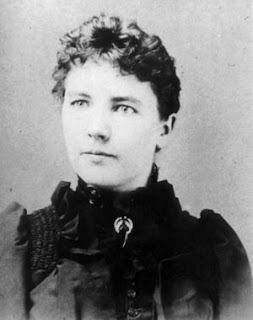 Were you a fan of the Laura Ingalls Wilder books? They say in the article that her works are becoming a popular subject of study in midwestern universities. I wonder if UNL will offer a class in On the Banks of Plum Creek anytime soon.